Today I spent a long day organizing and planning for our neighborhood garage sale. The garage is full, our basement is a little less full, and my feet are sore. LOL. All I have left to do is price EVERYTHING! There’s only one day left before the big event – but I’ll get everything done. 🙂 As I cleaned house, I found myself contemplating the reality of how one person’s hand-me-overs can be another person’s treasure. Since I am selling some items on behalf of my family I discovered a delightful treasure amidst all the mounds of stuff. 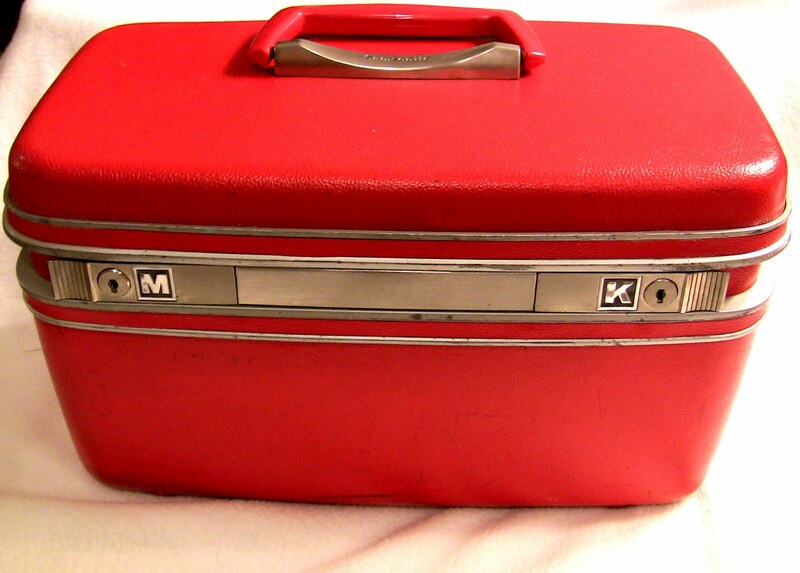 This fantastic red vintage box has become my new sewing companion, storing all my goodies and favorite sewing contraptions. 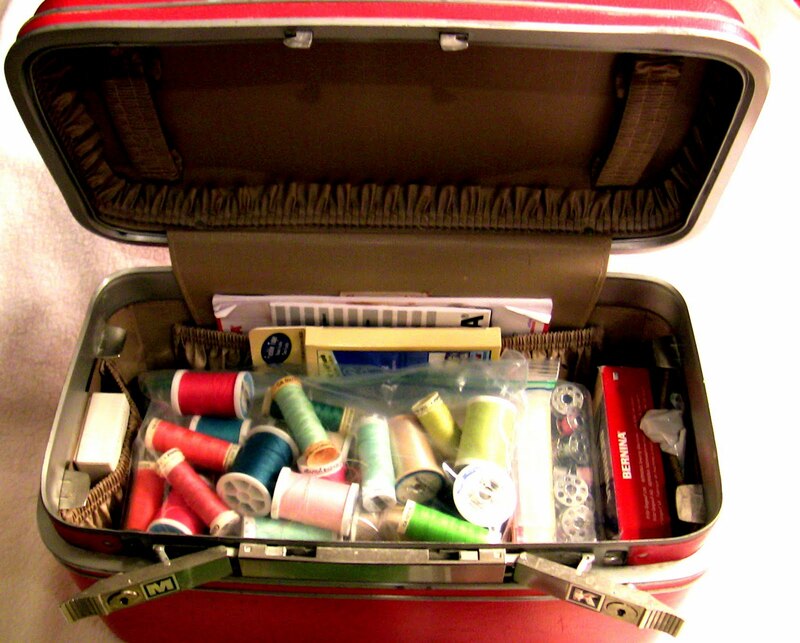 Beneath the bag of thread are all my sewing feet. Ha ha… that sounds funny. Love it!!! Hopefully soon I will be able to create some more hats… but probably not until after the garage sale is completed. Praying that the forecasted 70% chance of rain doesn’t come true and that we are innundated with eager garagesalers! oooooh, I LOVE treasure boxes like this one! It's beautiful, and definitely vintage looking :). I had an aqua one that I got for graduation from high school. So cool!! Cute Janna! 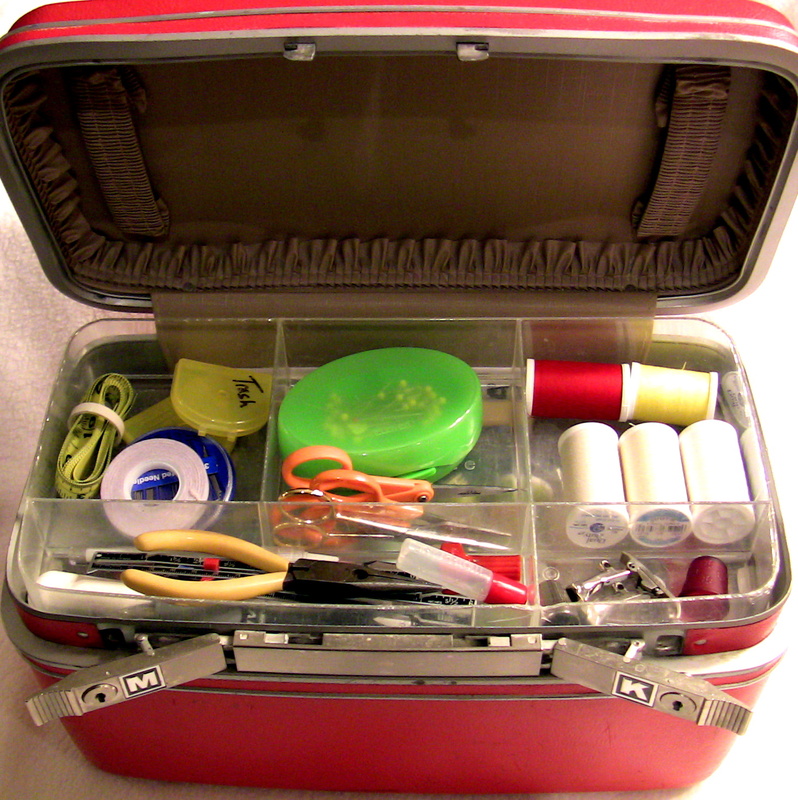 Perfect spot to store your sewing stuff. Hope you make lots of money at your garage sale.